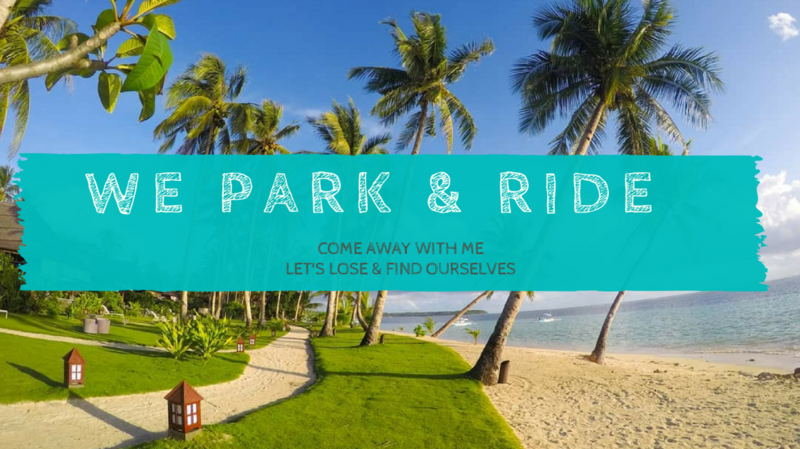 Have you been to Ilocos Norte? 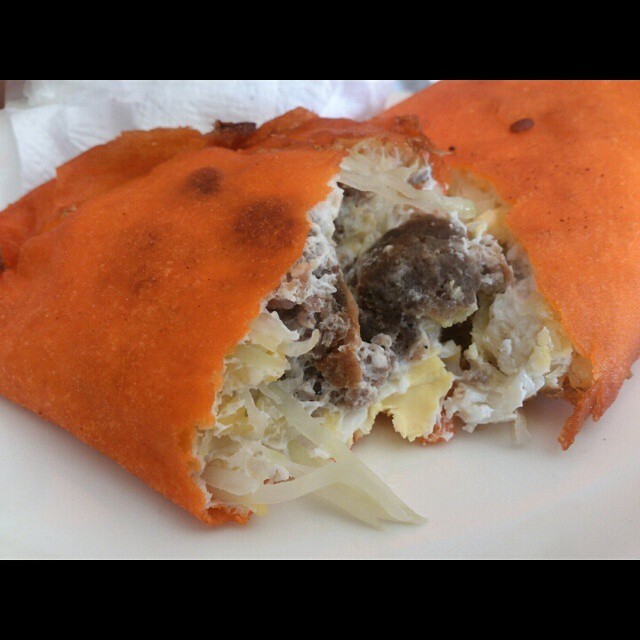 Did you make sure that you get to pass by Batac City to get a taste of their popular delicacy, Batac Empanada? Well, if you did not, you better make sure you do the next time you visit. Aside from being dubbed as the “Home of Great Leaders” for producing great names such as the former President Ferdinand Marcos, this City is, also, famous for its Empanada. In fact, the City has declared every 3rd of June as the celebration of Empanada Festival to promote it. The festival features street dance parades, fireworks display, and various contests on preparation, cooking, and eating Batac Empanada. 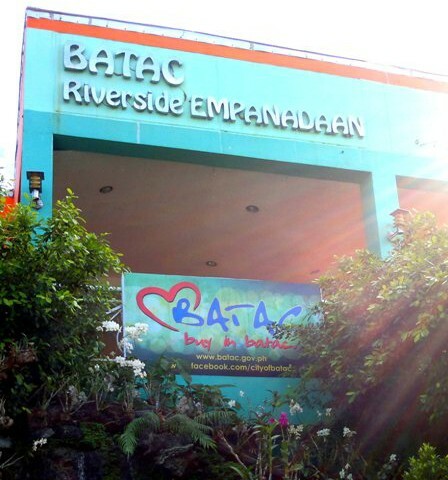 The best place to enjoy this in Batac is in Batac Riverside Empanadaan where you will see stalls after stalls selling Empanada. Empanada is made up of orange crunchy half-moon wrap made out of rice flour filled with shreds of green papaya, mongo, egg, and longganisa. It is best enjoyed with vinegar, particularly Sukang Iloko (add a little kick of spice) and a bottle of cold soda. It comes in different servings – regular, special, double egg, double longganisa, with cheese, etc. With my tiny appetite, one serving was more than enough. The price ranges from P35-70 each depending on the serving of your choice. The prize could have changed by now. Post-edited a photo owned by Jem Aznar. Amongst the stalls lined up, the most famous is Glory’s Empanada. Gloria Aduana Cocson said to have pioneered this Ilocano meat and vegetable dish. She started cooking in a small scale in 1960s. Later on, many have followed. Even her daughter decided to put up another stall named Glomy’s Empanada. If you wish to experience this but you are in Manila and are not up for a trip to Ilocos, you can probably try Farinas Ilocos Empanada. As I was writing the paragraph before this I had a craving so I grabbed my Mom to visit the branch nearest our place. It’s a good alternative to satisfy the craving. 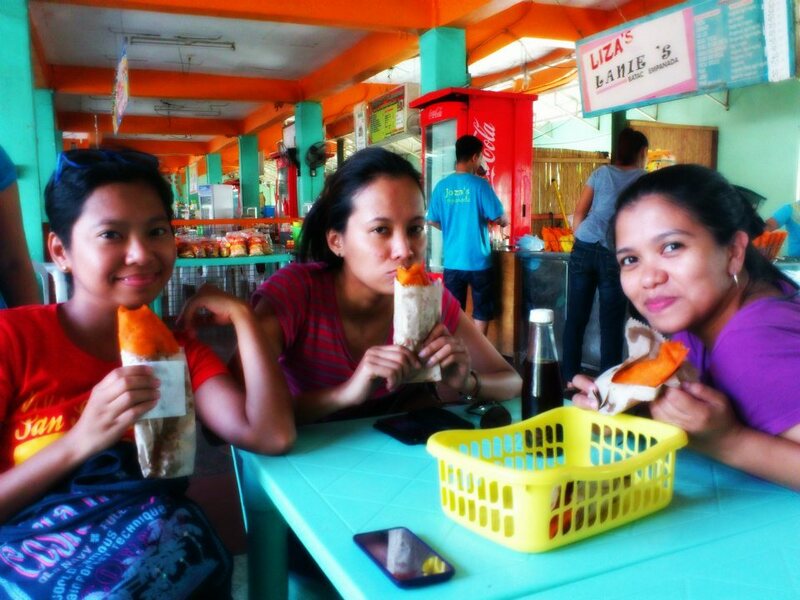 But I, still, recommend visiting Batac Empanadaan when you visit Ilocos.